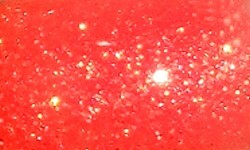 I have another one of the jelly glitter polishes from China Glaze's Lite Brites collection to share with you today. 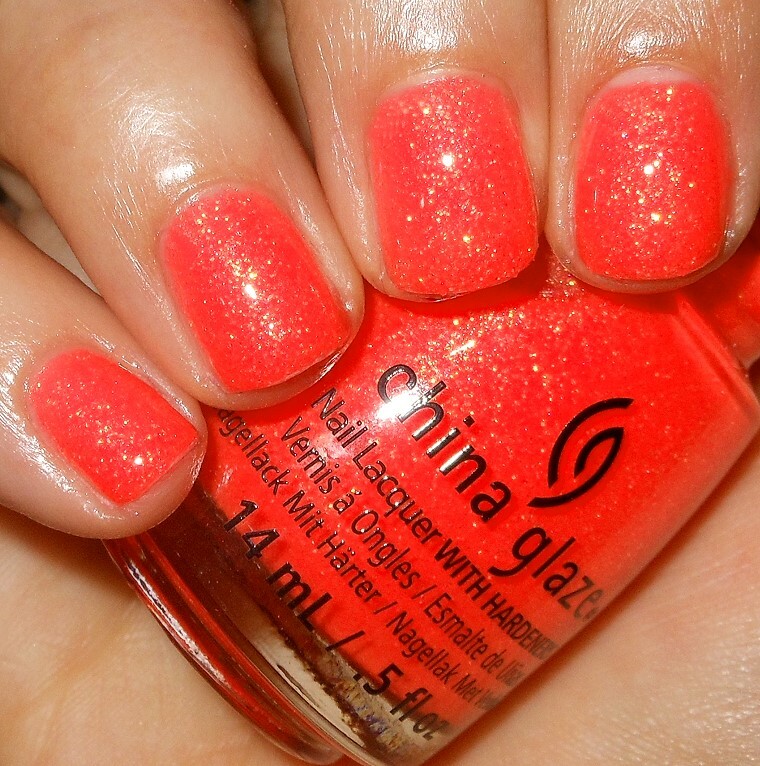 I am big fan of this collection and I think it's one of the best collections China Glaze has released as of late. I was a big fan of the other jelly glitter We Got The Beet. Will this one steal my heart too? Papa Don't Peach is a neon orange jelly packed with gold microglitter. Color: This color caused my camera to flip out of a bit. I tried my best to color correct in my photo program, but I still couldn't get it 100%. This is more yellow-orange in real life. This colors is bright and I love the combination with the glitter. This is the perfect summer shade. It's juicy, glitter, and oh so bright! Formula: Well, I didn't have issues with We Got The Beet's formula like others had mentioned with these jelly glitters, but I did have problems with this formula. This formula was a mess for me. It was thick, sticky, and goopy. This is a polish you really need to let dry completely between coats otherwise it gets too thick and goopy in spots and will never dry or level. Like We Got The Beet, this does dry flat so it needs a top coat, all the more reason to let it dry between coats unless you want a smudgy sticky nail polish mess. Price: I paid around $4 for this one eBay. I recommend shopping this on e-tailers it is much cheaper than China Glaze's $7-$8 retail price. Overall: I'm not a big orange fan, but I do love love this color. It's such a fun color that really pops. I'd wear it if the formula wasn't so bad. This formula was just a mess for me and it's so disappointing.